Yes, it's Crackerjack! (*waits for all of you who remember the original to shout Crackerjack! at your phones. *) The show, a staple of British children’s television from 1955-1984, marked the start of the weekend with its mix of sketches, pop performances and games. "The retro classic will be revitalised for today’s connected generation giving them an all-round, interactive experience while retaining the beating heart of what etched Crackerjack (Crackerjack!) into the affections of British children for three decades. There will be a heady mix of jaw dropping magic, laugh out loud comedy and silly studio sitcom - and of course it will still air on Fridays with hundreds of kids in the studio taking part in all the fun." 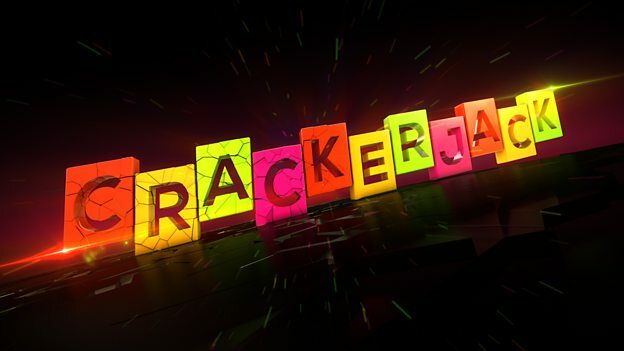 However a classic part of the show will also make a comeback as Double or Drop returns, in which kids get plucked from the audience to answer questions and go head to head to win prizes - or cabbages if they get it wrong - and the much-coveted Crackerjack (Crackerjack!) pencil. This new series of 10 45-minute episodes will be presented by children’s TV favourites, Sam and Mark, and will air next year. Whether they change the Chas n Dave Opening theme tune is probably also up for debate.